The goods ordered will be delivered by GLS courier to the address indicated by the customer. The customer will receive a shipping confirmation email with a link where you can check the shipment progress. If the customer is not present at the time of delivery, the courier will leave a notice after which the customer will have three days to collect the ordered goods at the courier’s offices. Delivery times vary depending on the destination, the time when the order is placed, and product availability. However, delivery times never exceed 2/3 working days (Mon-Fri) after the customer receives the order confirmation email. Shipping is free for orders over €25. Orders up to €25 will be charged an additional €6. Upon delivery of the order please make sure the package is intact and undamaged; any damage must be immediately notified to the courier by accepting the package “conditionally” and reported by email to shop@sabbioni.it. 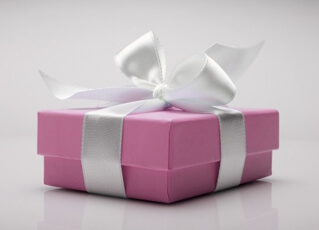 We can gift wrap purchased items at no extra cost. However, gift wrapped products are sent inside a normal shipping package with all the necessary precautions to protect them from impacts and tumbles. If you require your items to be wrapped, please select “gift wrapping” when completing your order. Your order can be shipped to your own address or an alternative one (for example, the one of the person receiving the gift).